Brynn Dixon makes a feline friend in the “catio” filled with free-roaming adoptable cats at Companion Animal Alliance. Photos by Collin Richie. This past November, animal welfare in Baton Rouge advanced 40 years overnight. 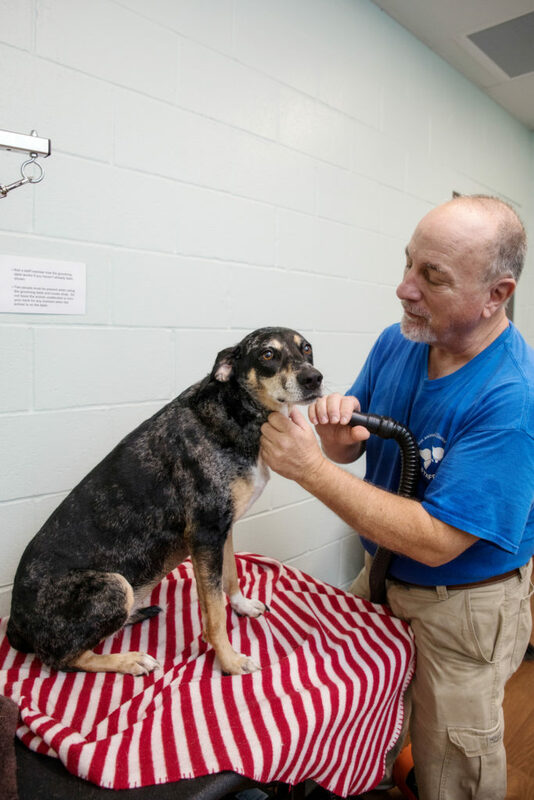 For two days Companion Animal Alliance moved 232 dogs and 160 cats from its old Progress Road location to a brand-new shelter on LSU’s Gourrier Avenue. The staff left behind more than 40 years of decrepit and insufficient space, climate control, kennels and a clinic trailer with a hole in the floor. With the move, our community also left behind the idea that shelter animals’ lives were not worth saving. It did not come quickly or easily. As a municipal service, East Baton Rouge Parish Animal Control is mandated to protect the public from disease and injury caused by animals. The department is obligated to remove animals roaming city streets and take in any unwanted animals from the public, including dogs, cats, lizards, horses, etc. For decades, Animal Control remained a low priority in the city’s budget and maintained a low profile—across from the airport behind the East Baton Rouge Parish Prison—because nobody was looking to adopt these animals. As the metro area grew, conditions deteriorated—until Cat Haven board members inspired Baton Rouge Area Foundation to make animal welfare a community priority. In 2010, BRAF created CAA as a nonprofit and soon contracted with the city to provide shelter services. Early on, CAA’s board recognized the need for a new shelter and adoption center. Before launching a capital campaign, though, they knew they needed to gain the community’s trust. They started by working to improve the 80% euthanasia rate and conditions at the existing shelter. CAA also lobbied the Metro Council to adequately fund shelter services, as well as change an ordinance to allow for the trap, neuter and release of neighborhood cats. In 2015, CAA’s board approached LSU Board of Regents in hopes of placing a new shelter on the LSU campus. 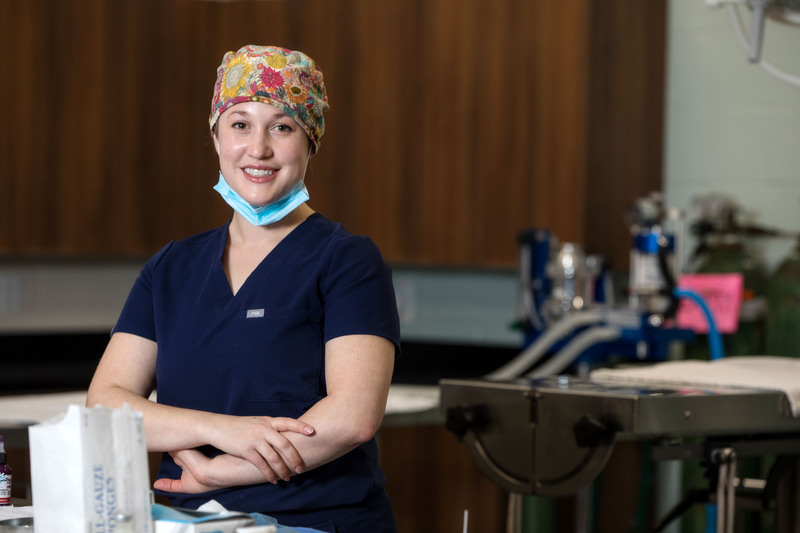 Besides increased visibility, the location offered opportunities to collaborate with the LSU School of Veterinary Medicine. After much negotiation, CAA began a capital campaign to raise $12.75 million for the new facility on Gourrier Avenue. Brynn and Braden Dixon spot the feline friend they hope to take home at Companion Animal Alliance. CAA building facilities manager Mark Rayner fluffs and buffs Tula, a rescued Catahoula, in the new grooming studio. “The first time I walked into the new shelter and saw the animals, I cried,” CAA board member Lisa Adamek says. She was astonished by the effect the new floor plan has had on the adoptable dogs. “In the old shelter, the dogs could see one another. They would become over-stimulated, feel territorial (or frightened) and bark constantly,” she says. Now, cinderblock walls surround each kennel. Each dog has a private, safe space. The shelter’s proximity to the LSU vet school has the potential to improve the animals’ health as well. The new cavernous surgical suite has allowed CAA to increase the number of vet students on shelter rotations. The new shelter is likely the country’s first municipal shelter built on a vet school campus. That means our city—once infamous for its antiquated shelter and abysmal euthanasia rate—is now being hailed an animal welfare innovator. The groundbreaking partnership between the LSU vet school and CAA has garnered the interest of major funders such as PetSmart Charities, which donated $200,000 toward the shelter’s surgery center and training for vet students. As more funds become available, LSU will look at new enhanced educational programs that would allow students to treat injured shelter animals at its vet school. CAA is becoming a benchmark for mid-sized municipal shelters looking to modernize—but the state-of-the-art building is only part of the reason. Even before the move, CAA overhauled policies and nearly inverted the city’s euthanasia rate into its save rate. In 2010, 20% of the 8,000 to 10,000 animals who entered the shelter yearly left alive. Now, 74% of animals are rehomed or trap-neuter-released back to their communities. The new shelter does not have increased capacity to hold more animals. To continue its trajectory, CAA must decrease the time animals spend in the shelter and get them into a new home or rescue facility faster. That will take community support. Companion Animal Alliance is not the only local shelter that has made strides. 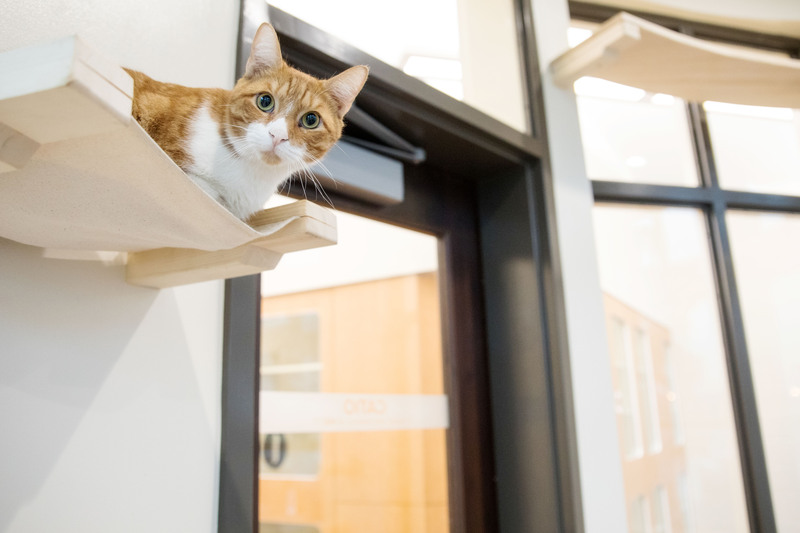 In the past two years, Cat Haven and Capital Area Animal Welfare Society renovated their shelters. With a bequest from Thaddeus “Ted” and Ana Anthos, CAAWS invested $100,000 in its 30-year-old building, including its driveway, fencing, 14 dog runs, isolation area and cat room. CAAWS takes in and adopts out dogs and cats from seven local kill shelters and the public. As part of its primary mission, the nonprofit offers spay/neuter vouchers for low-income individuals and $25 coupons for the general public. “Spay/neuter is the only way to reduce unwanted litters that end up in the shelter,” Parks explains. 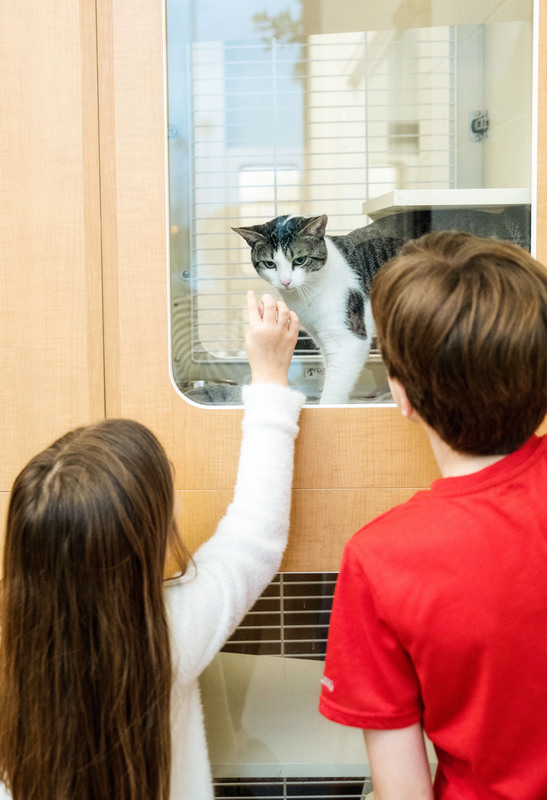 In April 2017, Cat Haven invited the community to the reopening of its shelter after a $200,000 renovation, which was funded by individual and corporate donors including a $12,000 PetSmart Charities grant for a ringworm treatment center. Cat Haven now houses 100 to 150 cats and kittens, who are available for adoption seven days a week. “We’re busy all day with visitors,” says Cat Haven executive director Wendy Decker. Some are looking for a feline family member. Others come for some kitty companionship. The daily visitor volume results in the adoption of about 1,300 felines each year. CAAWS’ and Cat Haven’s efforts have been amplified by Friends of the Animals’ Dog Adoption House, breed rescues and an increasing number of small foster home-based nonprofits. Municipal shelters in neighboring areas—West Baton Rouge, Iberville, Ascension, Walker, East Feliciana—have all undergone building and management improvements. That means an increasing number of pets are being rescued and rehomed outside of Baton Rouge. While Cathy Wells and others have worked to stem the birth of unwanted animals with spay/neuter assistance for low-income pet owners, advocates agree reducing the number of pets needing rescue is the community’s next animal welfare priority. Completing the new shelter is really just the beginning, says CAA board member Lisa Adamek. Be a kitty cuddler or puppy hugger: Dogs and cats are companion animals needing contact with people. Shelters never have enough staff to give the animals all the individual attention they crave. One hour can make a difference in a puppy or kitty’s life. 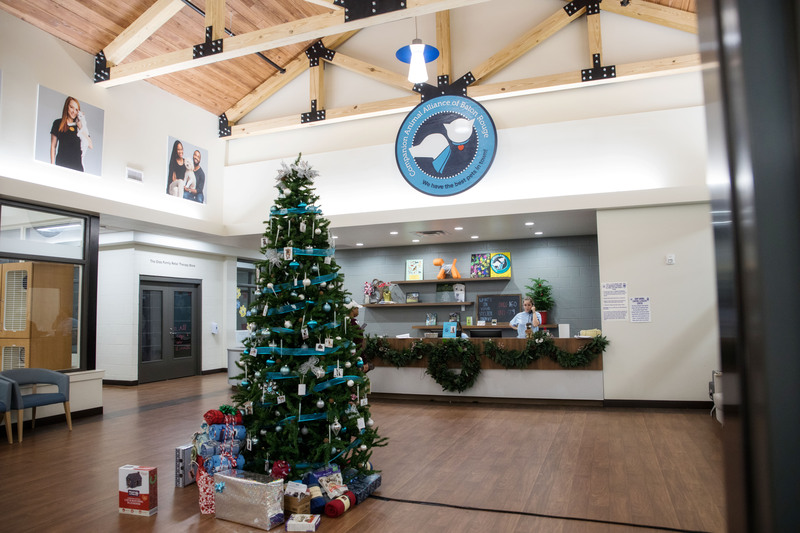 Bring treats, toys or towels: Due to infection control practices that help stop disease from spreading through the shelter, many items can’t be washed and re-used. Shelters always have a need for additional items. Share social media posts: Follow local shelters and share their messages with people who might adopt or donate. Click here to read more from our February Pet Issue.